To book courses or request any information feel free to contact us via way more convenient for you.  If you're planning to take a freedive course in Nusa Penida (or Bali in general), I highly recommend Freedive Nusa.... read moreIf you're planning to take a freedive course in Nusa Penida (or Bali in general), I highly recommend Freedive Nusa. I did Level 1 and I had so much fun. Was my first time ever doing freedive. I was super nervous because i have no idea about freedive. But the teaching by Kirill, the owner and instructor, was informative, engaging and fun. I think the most important thing is that all of the sessions with him in the water was super safe and professional. I feel ready and safe 100% all the time when we practice together in the deep ocean (even with Nusa Penida infamous strong current) since day 1. Absolutely no pressure to go deep or make me do anything i'm not ready for. At the same time, my abilities were gently extended and I definitely grew more confidence in the water than before. So go to Nusa Penida and do the freedive course with them! Easy access from Bali island, it is your best option other than taking any freedive course in Gili nor Amed. The island itself is simply chillax, not super touristy like other destinations. Highly recommended! Find out what freediving is all about with Kirill - Freedive Nusa. You won't regret it. Ps: i booked it via their Instagram @freedivenusa, quick response and super easy to book. Sehr informative Schulmaterial, viele praktische Anwendungen. Wir waren jeden Tag für paar Stunden Tauchen. Alles leicht zu verstehen und... read moreEinfach Klasse! Absolutely loved doing my Level 1 training here with Heiko. He was the perfect mix of clear instructions and explanations,... read moreAbsolutely loved doing my Level 1 training here with Heiko. He was the perfect mix of clear instructions and explanations, patience as we got used to this new challenging environment, and also gently pushing us each time we went under the water - super observant and useful tips each time. Very professional school. I did my SSI level 2 Freediving course here with Heiko and found him to be extremely... read moreVery professional school. I did my SSI level 2 Freediving course here with Heiko and found him to be extremely professional and a good teacher. With his experience safety diving at world competition level I always felt safe to try to push my limits. He made sure I understood all of the course content and was patient but also pushed me to my limits, so I made a new records of 25m depth and 3m26s static hold.